Cookie began singing when she was 5 years old in the Kensington section of North Philly(now known as the badlands), which, incidentally, id the same neighborhood where Lacy J. Dalton grew up in. Cookie would don her fathers old sailor hat, and walk up to neighbors as they sat on their 'stoops', and do a little song and dance. She was, for the most part, always rewarded with a cookie or some kind of treat, hence the name COOKIE. sister to a Country Lounge in Jersey called Reggies, where auditions were being held for "girl singers" for a band called The Downhomers. After hearing Cookie, the Band leader said, "If you learn 'Stand by Your Man' by next Saturday Night, the gig is yours!" She did, and Cookie has been singing Country ever since. In 1988, Cookie was signed to the STARGEM Label in Nashville for a single release of "Your Sinnin' Soul" which reached #28 nationally. Three moves to Nashville later, Cookies new album,"IF MY HEART HAD MY MEMORY" is a favorite in all of Europe, with the single,"That's How You're Killing Me" reaching #1 in March of this year!!! 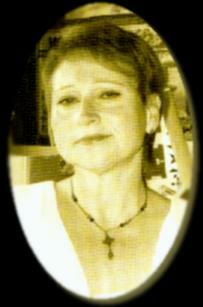 Cookie has opened for Justin Tubb on several occasions and has been involved with The Hall of Fame Show that featured Grand-Pa Jones, Bill Monroe, Little Jimmy Dickens, Kitty Wells, Jeannie C. Riley, Melba Montgomery, Jett Williams and others. 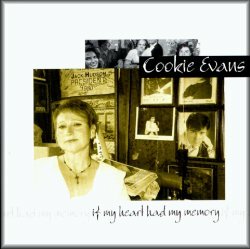 There are 3 great assets to Cookie's album, "If My Heart Had A Memory"; All of the songs were written my Paul Evens Pedersen who has a special talent and keeps his songs traditional country. The band is great and there are several instrumentals to showcase their talent. 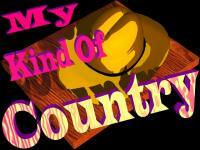 Last but not least is Cookie's delivery of these great songs with her sweet and stable country voice. The price is $10.00 postpaid.